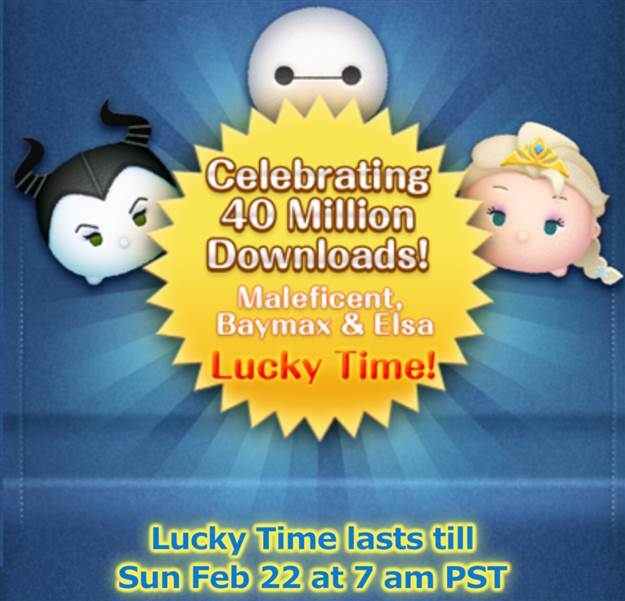 To celebrate 40 Million Downloads there are daily mission bonuses and Lucky Time for Maleficent, Baymax, and Elsa for the next four days ! 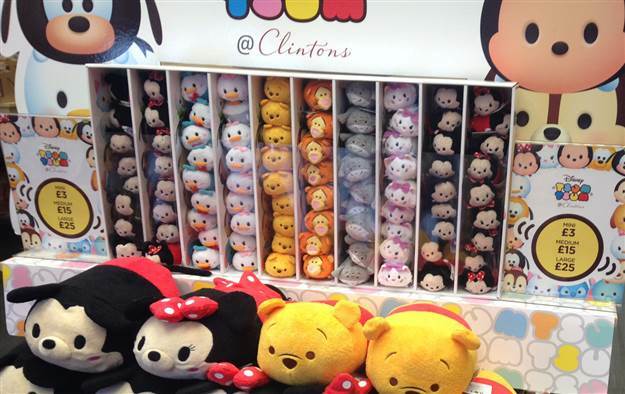 Tsum Tsums finally are available in the UK; however, not at the Disney Store yet! 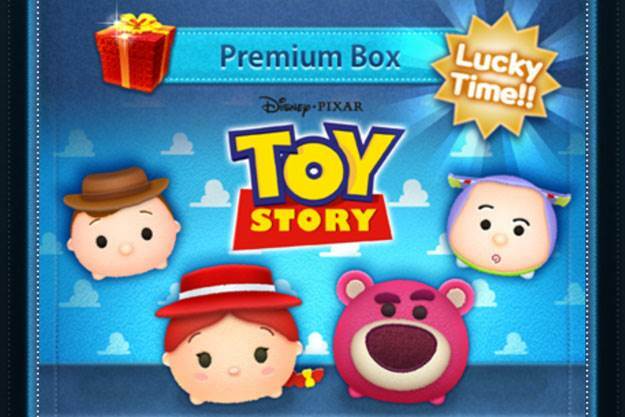 Jessie and Lotso added to the game! Last night Jessie and Woody were added to the international version of the game and a game update increased the score of all characters! It's Tsum Tsum Tuesday! Welcome Cinderella Tsums, next month Frozen! 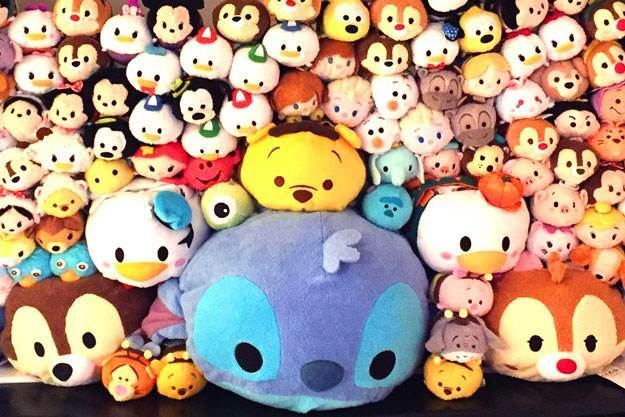 Today is the first Tuesday of February which means it is Tsum Tsum Tuesday! 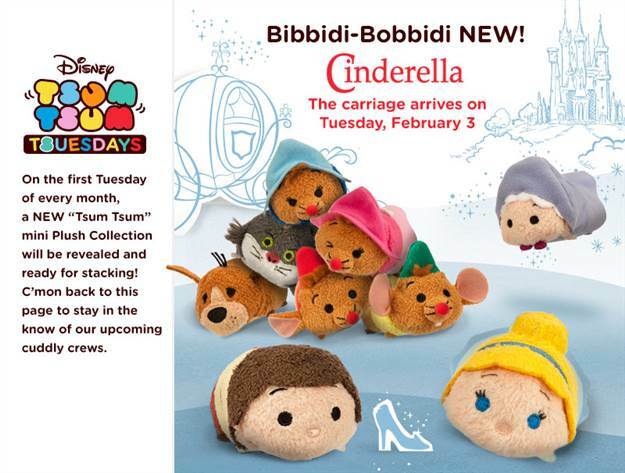 This month's Tsums are from Cinderella and it was announced that next month will be Frozen! 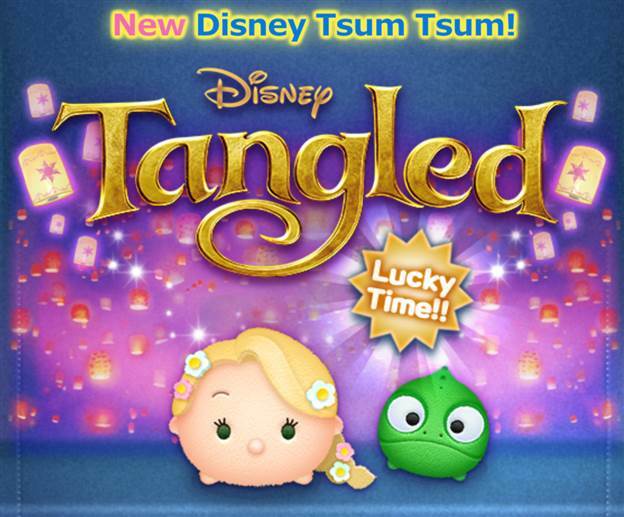 Tangled Characters Added to the Game! Rapunzel and Pascal from Tangled were added to the game! Baymax Added to the Game! 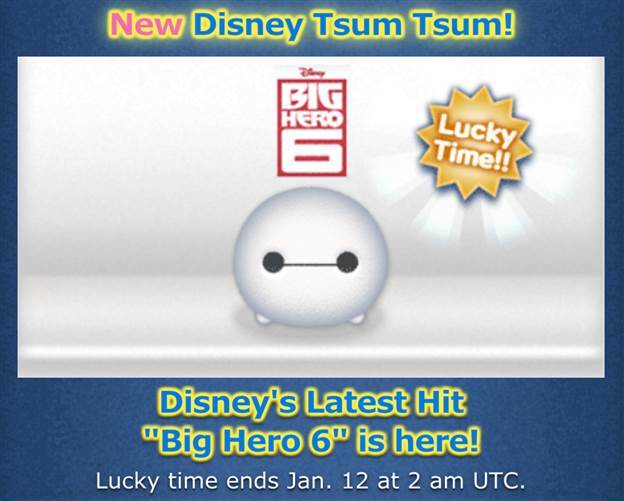 Baymax from Big Hero 6 has been added to the game! 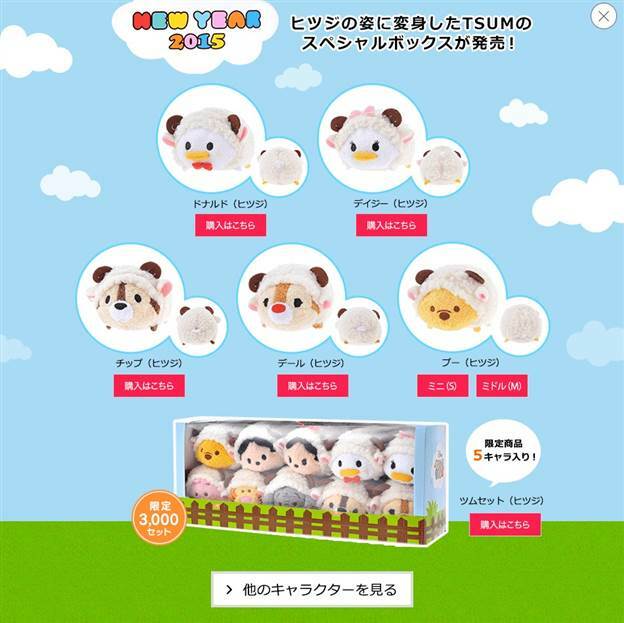 Year of the Sheep Tsums Released in Japan! Today Year of the Sheep themed Tsum Tsums were released in Japan! Sven Added to the Game! 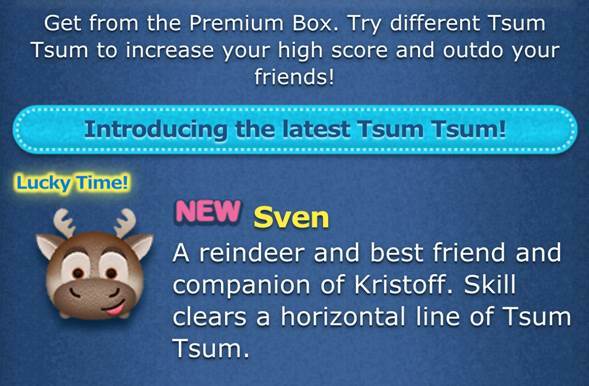 Sven the reindeer from Frozen has been added to the game!